This week’s mystical Roomboard was inspired by Joanna Pasek‘s adorable art prints! The soft green accents and wooded wallpaper bring the whimsical prints to life, while the soft blankets can wrap you and your little one in for some comfortable reading time together. Both peaceful and cozy, you will love spending time with your family among these soft colors and rustic adornments! Do you like what you see? Check out more of Joanna Pasek’s work here! This week’s roomboard features artwork by LucyAnne. She creates wonderful artwork for BoomBoom Prints and it shows with how well these pieces fit this room! Your kids will have a table to play on, beanbag to sit on, and bookcase to store stories. Click on any of the links below to see each item! 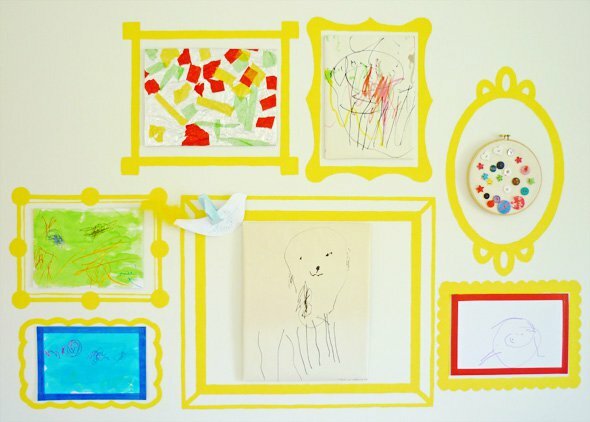 Looking for a creative way to display your kids’ masterpieces? Check out these fun ideas so you can showcase everything from colorful doodles to finger paintings alongside the rest of your decor! An industrial look, this textured backdrop is the perfect space to pin up all your little one’s latest designs! Even old hardware can be completely refurbished into art destinations! All you need are a few decorative touches and you’re good to go. 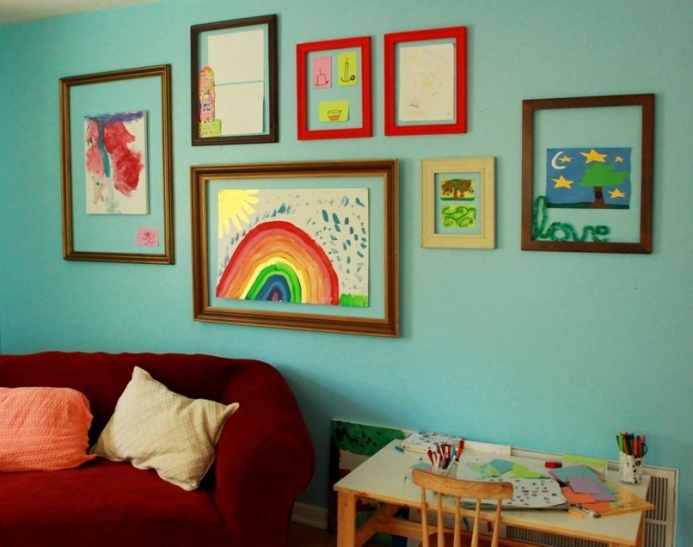 Another inexpensive alternative to framing your art is… using different types of frames! Find a few from your local thrift store to paint and distribute along the wall. Soon your kids will have a gallery space all their own! 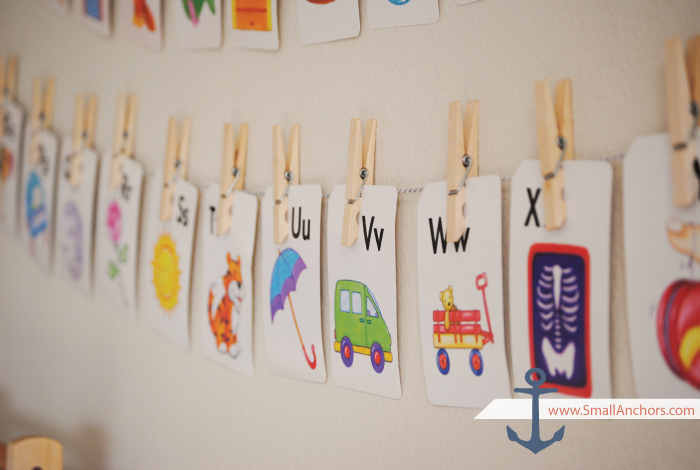 Not only is this craft unbelievably simple, but it also looks adorable with your children’s masterpieces attached! Try one strand above your furniture, or a few along an empty wall. 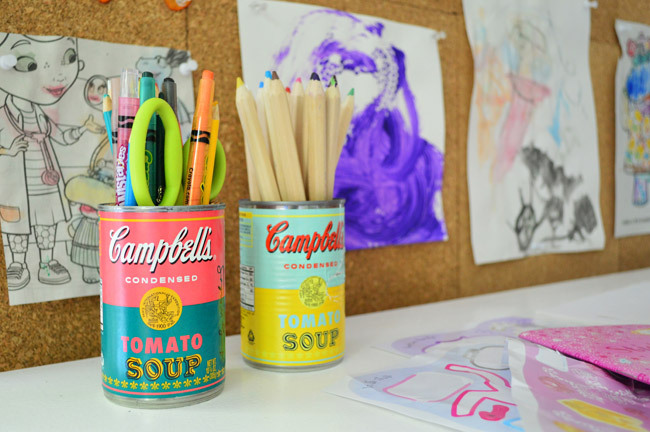 Check out this idea from a previous BoomBoom DIY project! 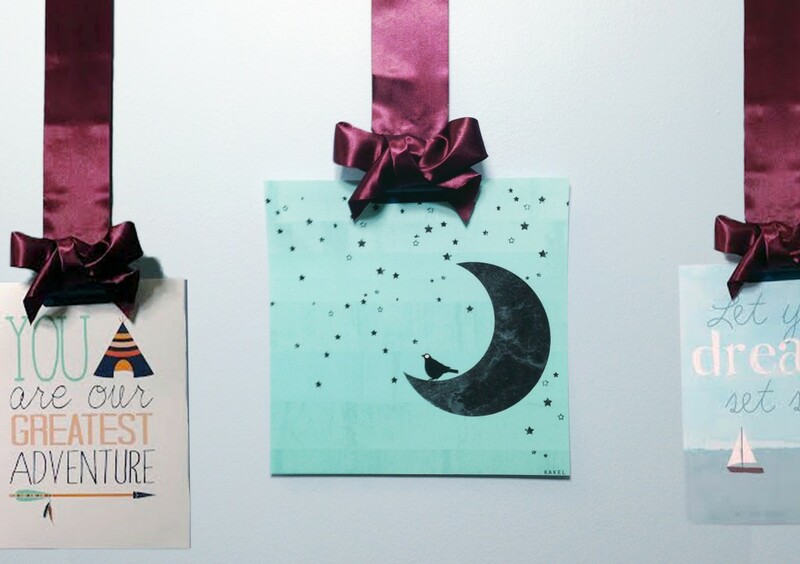 Ribbon can be an elegant tool for properly showing off the work of your mini-artists. 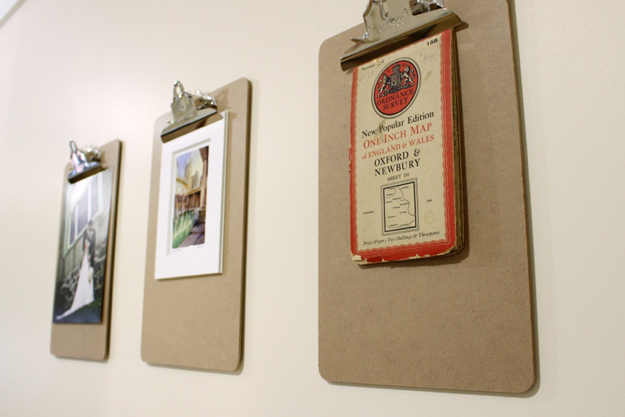 No matter if you decide to add paint or leave them plain, clipboards can be the perfect touch-up to a simple home. You will also love how easily the designs slide in and out! Add bright decals for a fun, whimsical change to your wall! 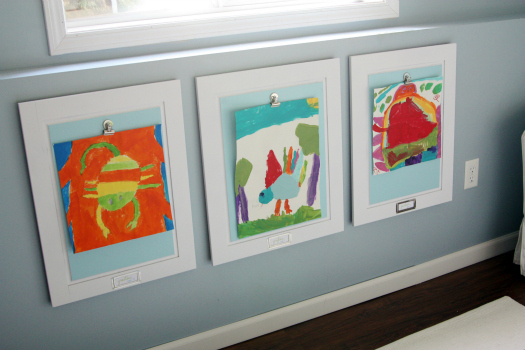 Your kids’ art pieces will meld well alongside the equally vibrant framing. Simple and effective, you’ll wonder why you never thought of it before! Hangers can showcase all shapes and sizes of art, and they even add an element of eclecticism. 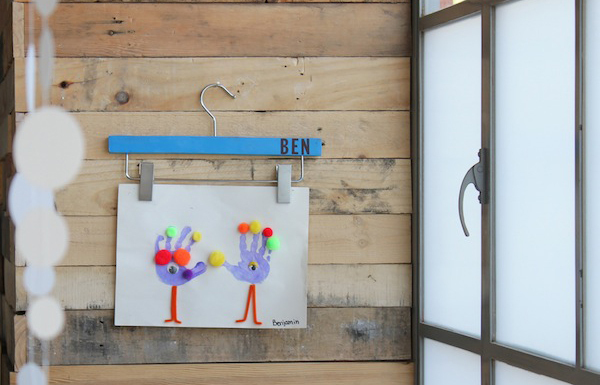 Do you have any unique ways to hang your kids’ homemade designs? Share them in the comments below! This week’s roomboard features artwork by BBP artist Fercute. Coming with both a globe & telescope this room is perfect for your big dreamer! Click any of the items below to see where they can be purchased.